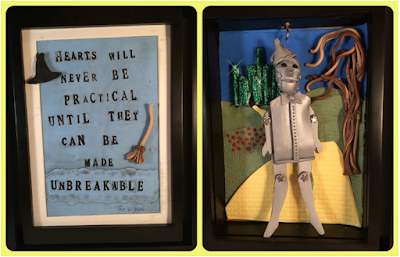 Who doesn’t love the Wizard of Oz??? 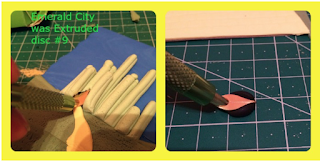 With Makin's Clay® this image that has been in my head can now become a reality! Get your frame ready. I cut 2 pieces of heavy cardstock to the size the frame. 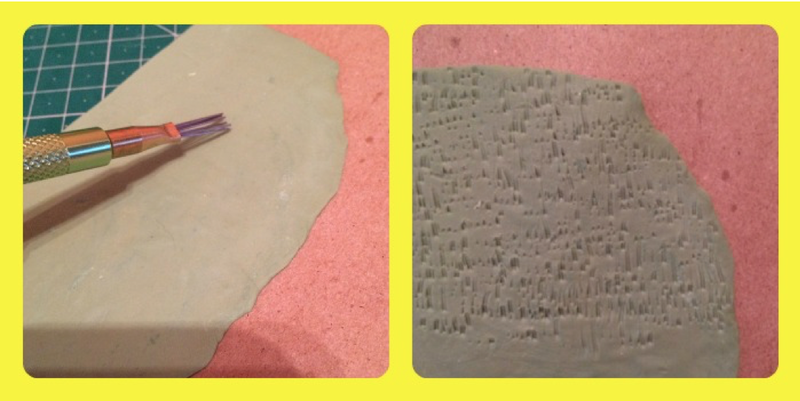 These will be covered in Makin’s Clay®. 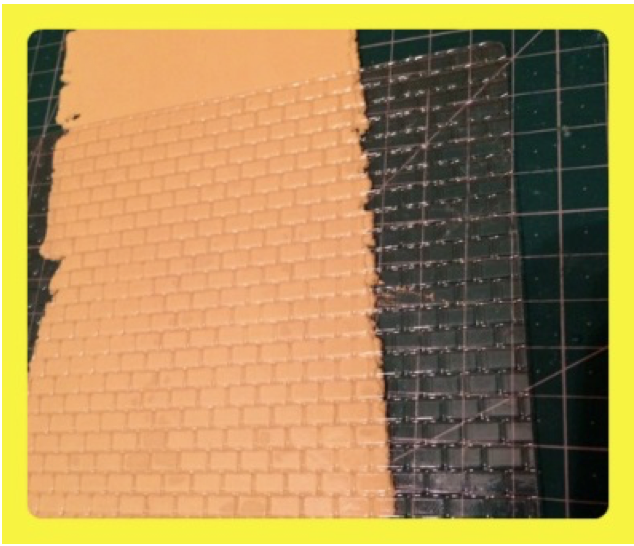 Roll out a sheet of yellow with your Makin’s ultimate clay machine on setting 2. 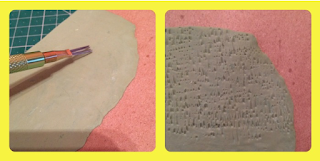 Press the texture sheet over the clay rub firmly to get and even impression. For a hint of the “Scary” forest let’s make a tree! Disc # 2. It makes the clay come out in great bark like variations. I took the extrusions and twisted and shaped them together to form the tree. 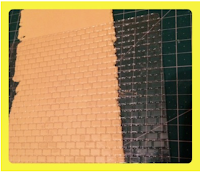 Now trim the brick path to fit on your cardstock and place the tree. Then I took the Feather tool from the Makin’s Professional tool kit to make the grass. 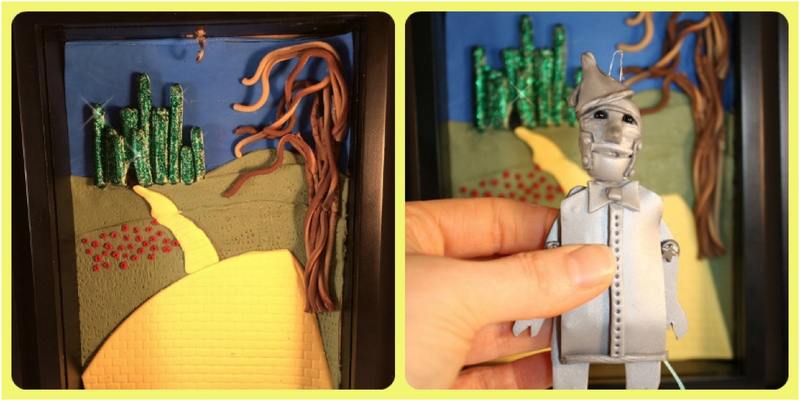 The Shading tool made the perfect size Door for the Emerald city. To hint at some evil we can’t forget the poppies! 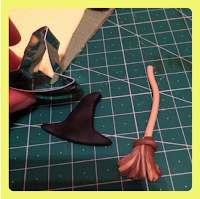 Again for a “hint” of evil I used the Halloween Witch hat clay cutter to cut out this shape. We all know every Witch needs her broom. 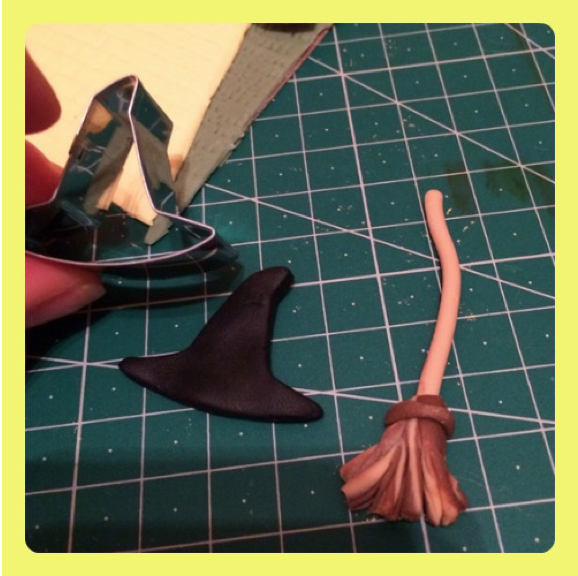 I took some of the extruded clay I used for the tree to make her broom. Paint the letters and then wipe them with a damp cloth. I left paint on to give it a vintage look. Memory Frame kit into the front. Place this into the side slot in the frame and THEN add the hat and broom with Beacon Tacky glue. Now trim the other Emerald city side to slip into the frame and glue on to the back of this side. 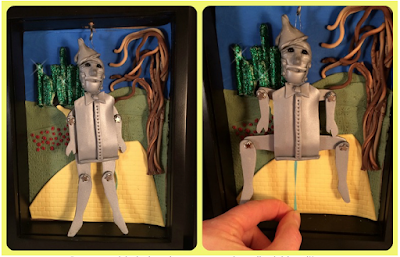 BECAUSE you need extra room for The TIN MAN! He can be removed as well. We all knew all good wizards never share their secrets! At least until they have perfected the technique! Check out my facebook page to see and HEAR this piece in ACTION! 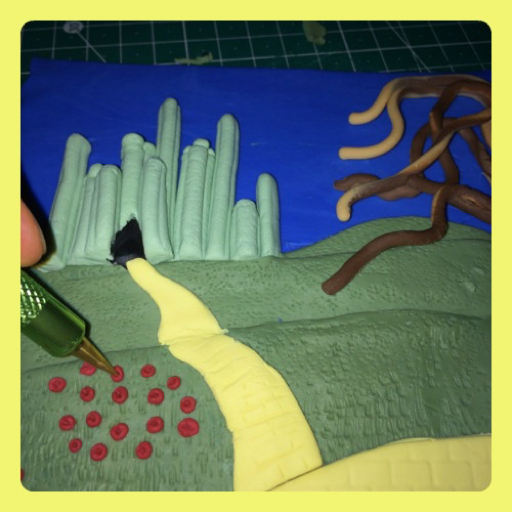 Let your creativity lead you down your own path or yellow brick road!! You can find me on these sites! 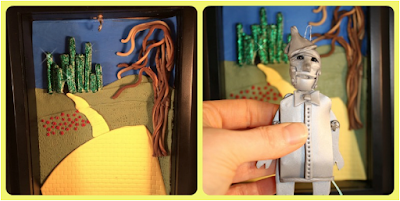 You followed the Yellow Brick road by Makin this!